Cut-off tubes and pipes chipless and with low burrs. 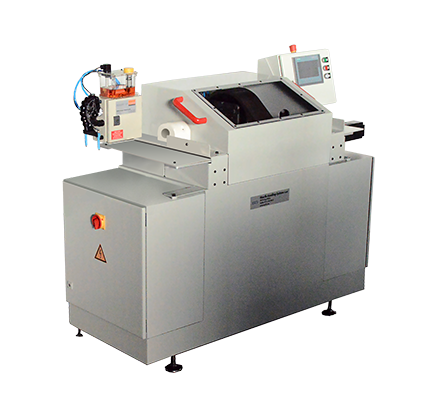 Smaller quantities of tube and pipe sections can be cut by this less expensive model of a chipless tube cutting machine. cuts with low burrs are reached. Technical information: The machine cuts tubes and pipes with from 4 to 65 mm with a maximum wall thickness of 2,5 mm. The input of tube rods is done manually.